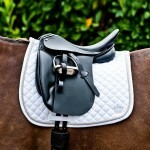 HORZE - Keep your horse comfortable with the Silver Cord Saddle Pad. 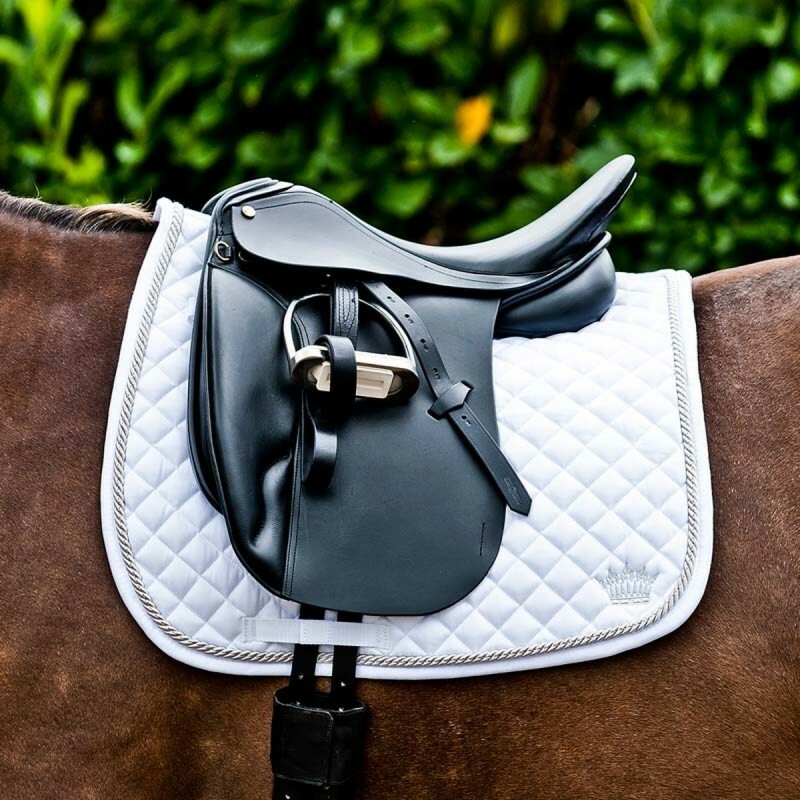 HORZE Dressage Saddle Pad answers the demands of every rider. A beautiful diamond quilt pattern, ergonomic shape and impeccable attention to detail set this pad apart from others. 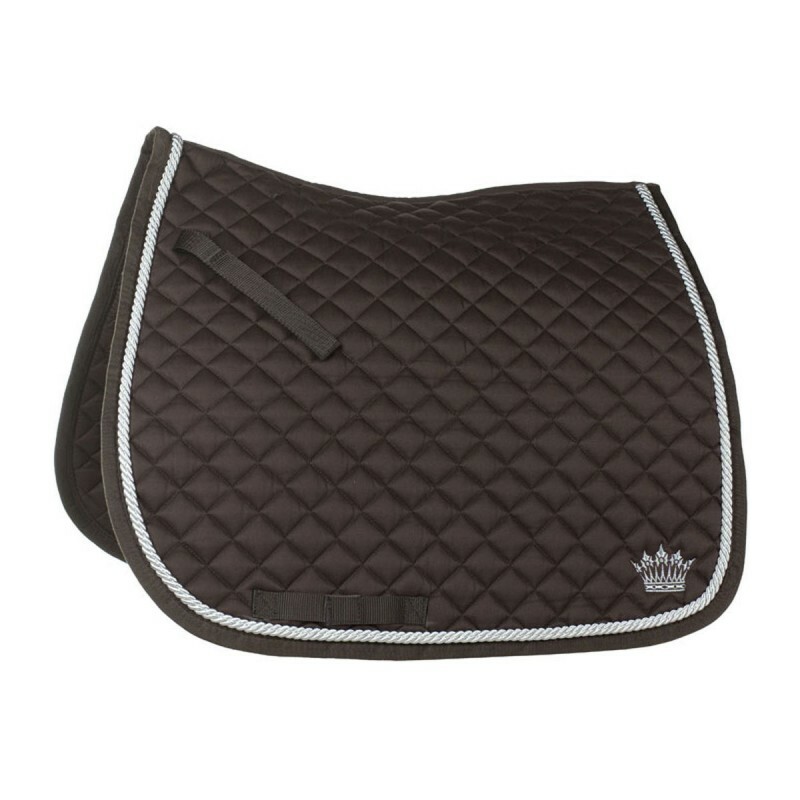 This pad acts as a protective barrier between the saddle and horse's back. Luxuriously soft with breathable honeycomb lining wicks away moisture from the horses back for a cool comfortable feel. 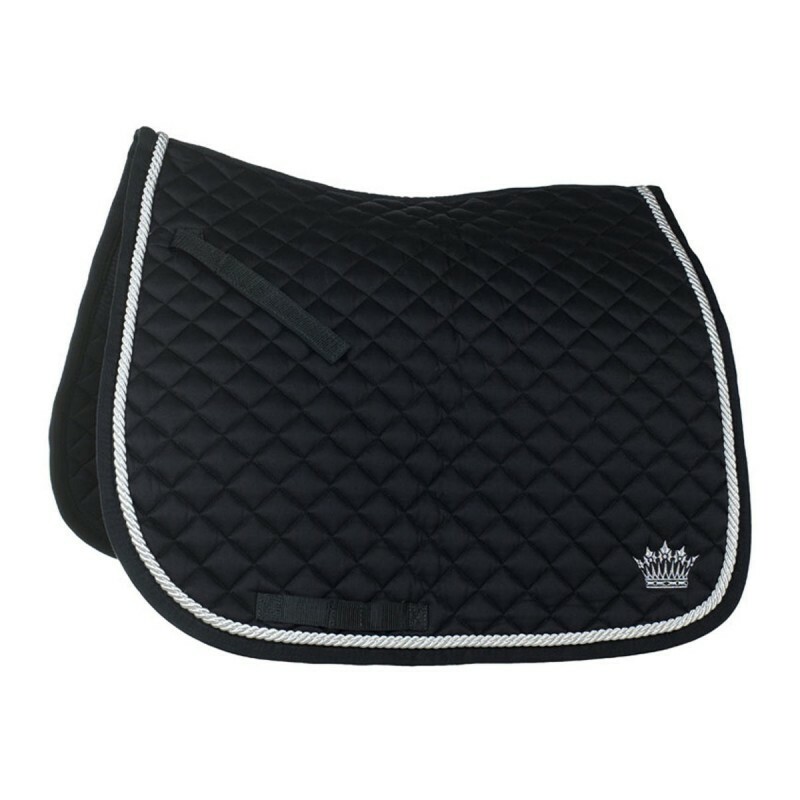 The contoured pad accommodates a horse's natural shape to eliminate rubbing and friction adding extra relief around the withers for enhanced comfort. Not only functional this is visually appealing as well. 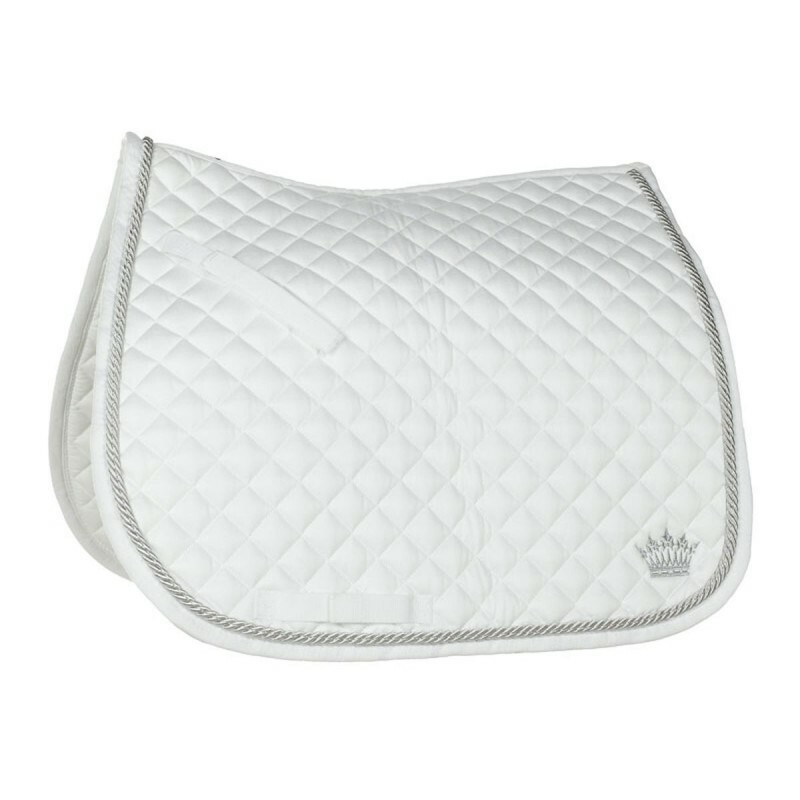 A silver embroidered crown sits on the bottom corner with matching silver cord wrapping the entire pad for a stylish, defined look. Measurements: 23" down the spine. 20" drop. Machine wash, warm water, lay flat to dry.